Engineering undergraduate researchers spend summer break making new discoveries in science and about themselves. 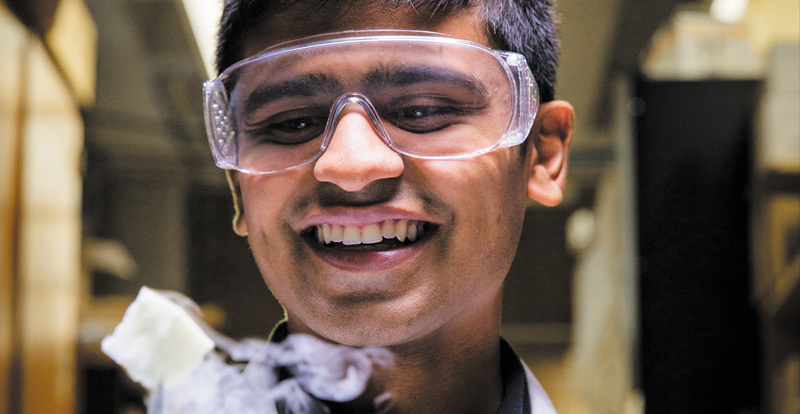 For many Northwestern Engineering undergraduate students, giving up summer break to engage in research is no sacrifice. The experience and knowledge they gain top even the best vacation. 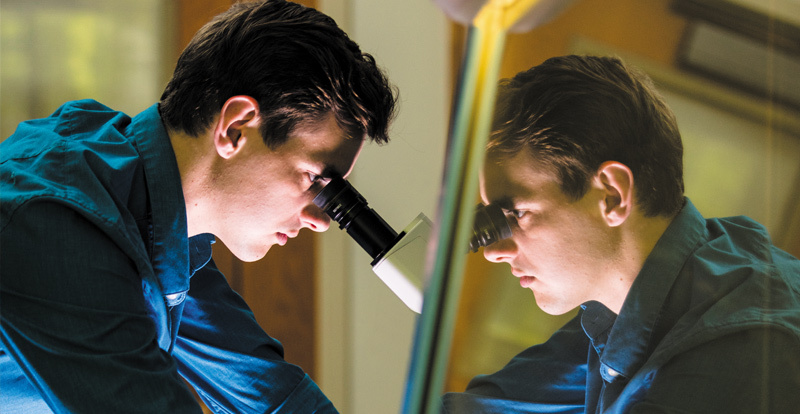 Each year, about half of engineering students pursue undergraduate research projects, with many choosing to stay on campus over the summer, when they can focus exclusively on research. By doing this, students find they accomplish more in a few months than they typically could during a full academic school year. Thanks to the generosity of alumni, Northwestern Engineering provides undergraduate research fellowships to students during the summer. Students have also received funding from the Office of Undergraduate Research to the tune of more than $600,000 over the past five years across the academic year and summer. Being able to conduct research without the distractions of course work and other activities is one reason students pursue summer projects. More opportunity for one-on-one interaction with faculty is another. 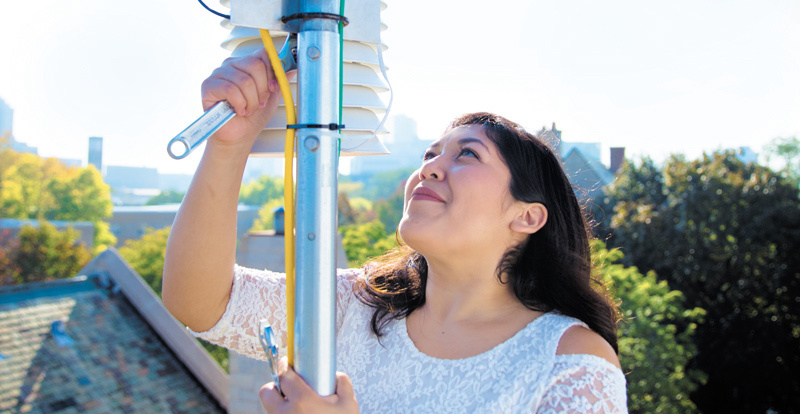 Northwestern Engineering spoke with three undergraduates about how their summer experiences advanced their development, which in turn can advance Northwestern’s strong research reputation. Clean Energy. Converting Daily Activity into Electrical Power. I’ve always been interested in science and math, so engineering seemed like a cool way to pursue both while applying my knowledge right away. With traditional science, it can take longer to see the application of research, but engineering is generally more direct in solving problems. Some of the biggest challenges scientists and engineers face today are in the clean energy field. Fossil fuels are cheap and readily available, but they’re neither sustainable nor good for the environment. I’m interested in helping develop something that’s good for the planet. I was drawn to Professor Harold Kung’s research on generating and storing electricity in a clean way. He and his graduate students Thomas Yu and Aditya Mandalam are investigating using graphene materials for energy capture and storage. The work I did is part of the lab’s larger research goal to develop a foam that will reliably produce significant amounts of current when compressed. The idea is to capture the energy generated from day-to-day activities, such as walking and driving, that is otherwise lost as heat. My summer project was to help develop a material that captures the mechanical energy that goes into compressing the ground and converts it into electricity. I examined how different methods of preparing a chemically reduced graphene oxide hydrogel in a polyurethane matrix can improve how efficiently the foam converts compressive energy into electricity. Graphene is conductive and flexible, and by compressing these graphene foams when submerged in an electrolyte, we can change how much charge the foams hold. Compression of the foam displaces the electrolyte that previously would have filled the foam’s uncompressed pores, which creates a charge imbalance that drives a current or voltage. What we would like to achieve is to use this charge imbalance to do electrical work. There are a lot of potential applications down the line. I enjoy mixing the chemicals—just the raw chemistry of it is fun. It reminds me of when I first studied chemistry in high school, which eventually led me to chemical engineering. We’re essentially making something from scratch by taking raw, pencil-lead graphite and turning it into something new. We can’t power anything meaningful yet, but if this works, it will be really striking. Urban Flooding. Seeking Solutions in Green Spaces. I wouldn’t say I gave up my summer to work on the Multifunctional Urban Green Spaces research project. I really wanted to stay in Chicago last summer and thought this project was a great idea with a lot of potential. I also knew Liliana Hernandez Gonzalez, a PhD student already involved in the research. It’s a multidimensional environmental project focused on using instrumentation for longterm data collection on stormwater retention and climate adaptation from green spaces. The data will be used to inform the implementation of new techniques in other green spaces and how humans interact with their built green environment, which largely affects human health. The long-term objective is to document how urban green spaces can help in reducing urban flooding. We’re monitoring many different factors, such as groundwater, water flow, road salt deposition, ambient air temperature, and sunlight. We’ve had a couple setbacks, but it’s progressed really well, and the initial installations are revealing a lot of interesting patterns. For example, from the groundwater wells, we can definitively see the different soil types acting on the land’s rainwater drainage patterns. The changes that happen when it rains are sometimes dramatic. Professor Aaron Packman, who oversees the project, is my academic adviser. He has a big imagination and always has a bigger plan than we do. This project started smaller, but over time he added components here and there that enhanced it in unexpected ways. I enjoy how the project brings many different pieces together. I started out doing fieldwork and installations. I went on to chemical analysis, and right now I’m doing microbial analysis, which is really cool. The microbial analysis is my baby; I’m spearheading that part of the project. I like that you can look at all the information from many perspectives— chemical, microbial, physical, and so on. I decided I wanted to be an engineer when I was in fourth grade. I like the human impact of engineering. Science is very truth oriented, but engineering is more people oriented. After Northwestern, I plan to work at a consulting firm so I can broaden my skill set, and then I hope to join an environmental firm that focuses on water resources. Alzheimer's Disease. Mimicking Nature to Combat the Effects. I wanted do research from the day I stepped onto campus. Professor Josh Leonard’s Laboratory for Cellular Devices and Biomolecular Engineering was my number one choice. Last fall, he said that MD/PhD candidate Patrick Donahue had a synthetic biology project that would be a great fit for me. We’re attempting to design a synthetic gene circuit that can drive cells to a particular neuronal cell type. Current methods are pretty much like throwing proteins at the cell and hoping they do what you want. If we can fine-tune the gene circuit in the lab to mimic the differentiation pathways found in nature, we’ll get a higher purity yield of the target cells. The decline in the population of this type of neuron has been closely associated with the onset of Alzheimer’s disease, and restoration of this neuron population in mice was sufficient to relieve the effects of the disease. The data thus far indicates that if we’re able to restore this population of neurons with high purity and efficiency, we’ll be able to combat the effects of Alzheimer’s. I enjoy the sense of being on the front line of these new discoveries and applications. I often find myself thinking that if this works, or even if it doesn’t, the discoveries we make here will push forward the frontier of research and our ability to help people. Biology has always interested me, and the idea of taking what we see in nature and recreating it for our own therapeutic purposes really appeals to me. To do that in a way that can help people is incredible. During the summer, you have so much more time to actually work on research projects because you don’t have classes or other obligations. The progress I made during those three months is probably equivalent to, if not greater than, everything I did during the school year. One of the main things I’ve taken away from this experience is a sense of independence in solving problems and testing the solutions on my own. Working with Professor Leonard has helped me to see where I want to go after Northwestern. I hope to do graduate work in synthetic biology, and laying the groundwork now will be very useful.